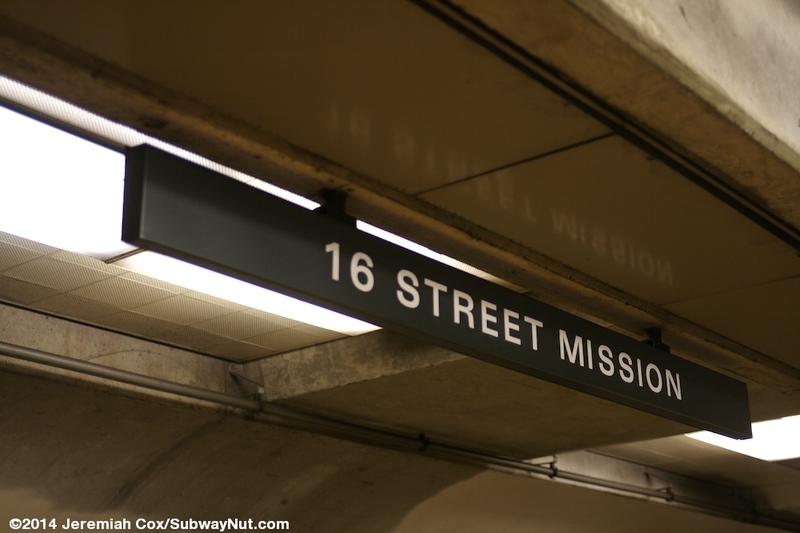 16 Street Mission is an underground station beneath the Mission neighborhood of San Francisco. 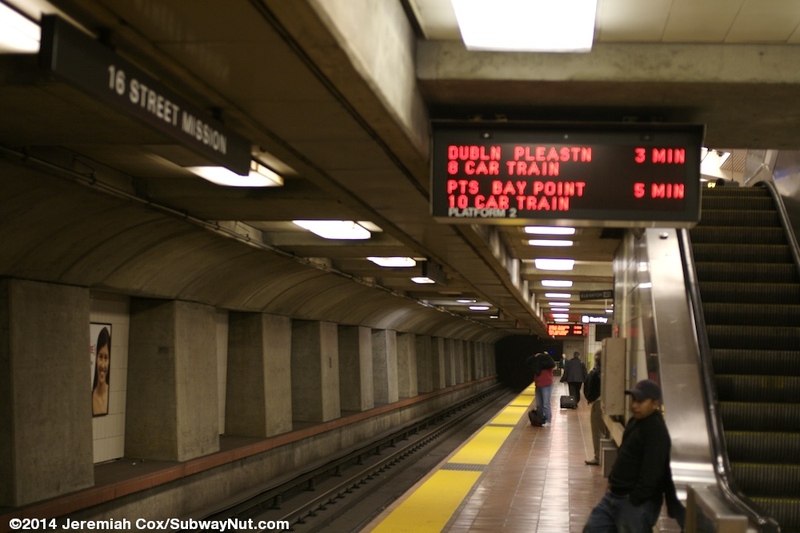 The station has a single island platform for the two-track subway and opened on November 5, 1973. 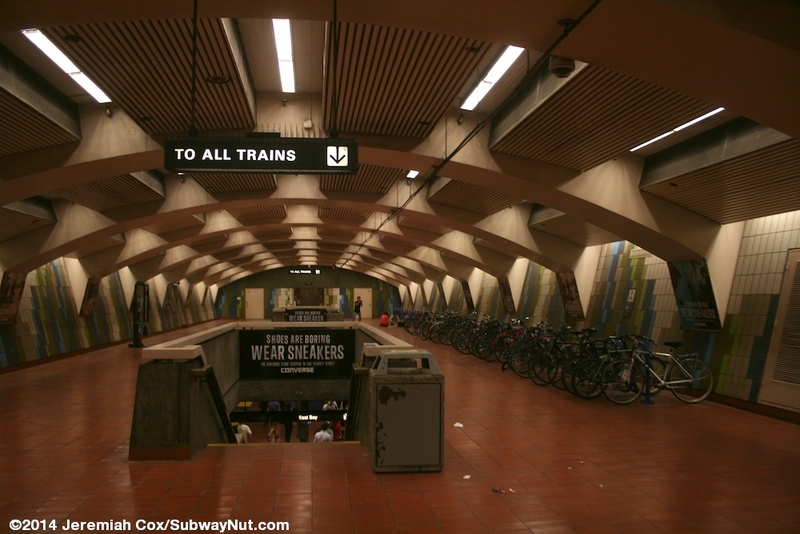 Above the island platform is an upper mezzanine level where fare control is that is above most of the platform. 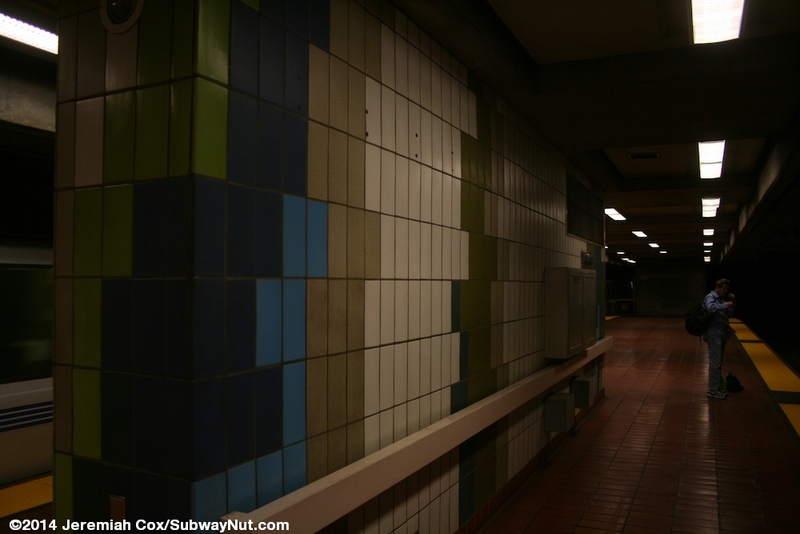 The design of the platforms has a combination of concrete track walls with white panels adding more color, along with blue, green, and yellow tiled patterns on the sides of the escalators and staircases up to the mezzanine (there is also the required elevator) and the ancillary rooms along the platforms providing a bit more color for the station. 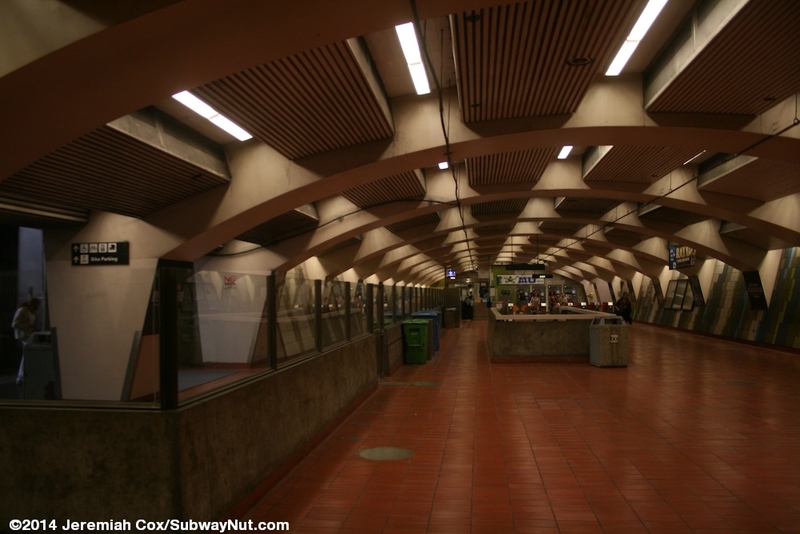 The mezzanine has walls tiled in this similar pattern and an arched ceiling accented by white arches holding it up. 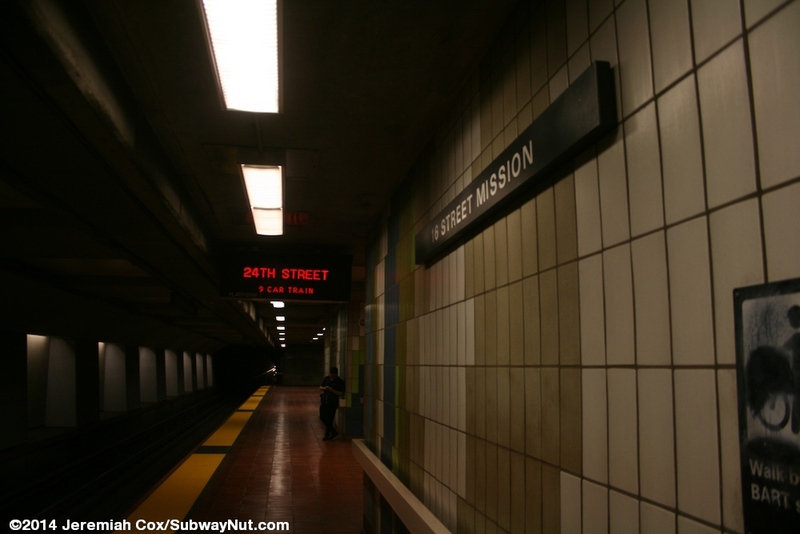 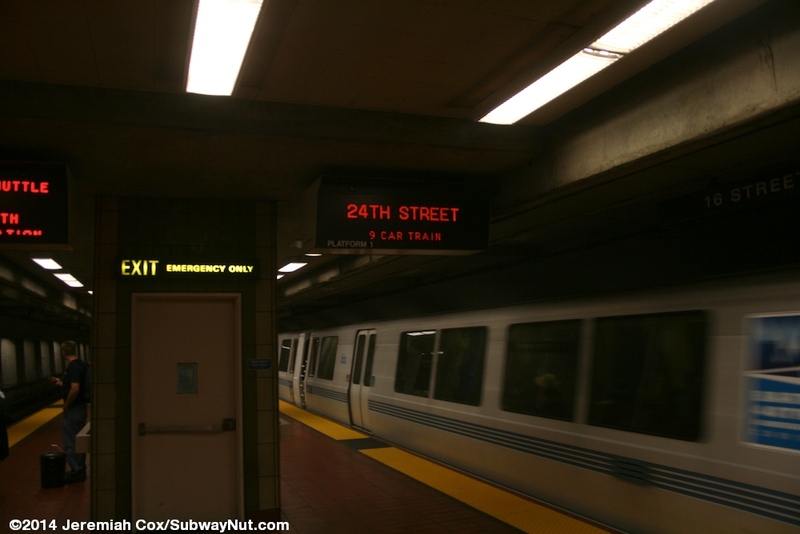 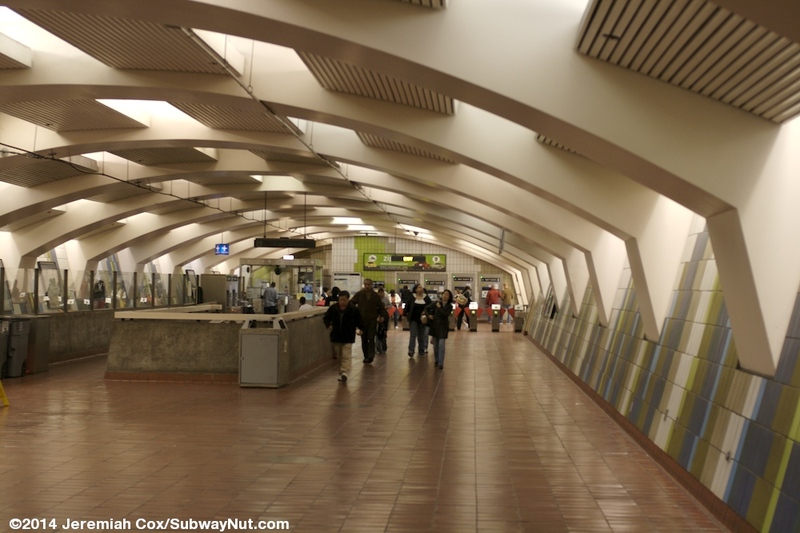 From the mezzanine, street exits are located in small pedestrian plazas set back from the NE and SW corners of 16 Street and Mission Street. 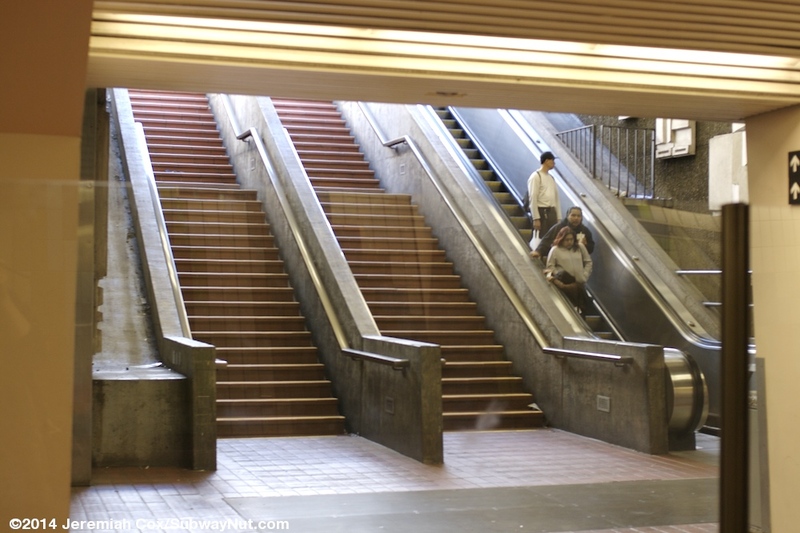 These exits are quite wide with both escalators and staircases. 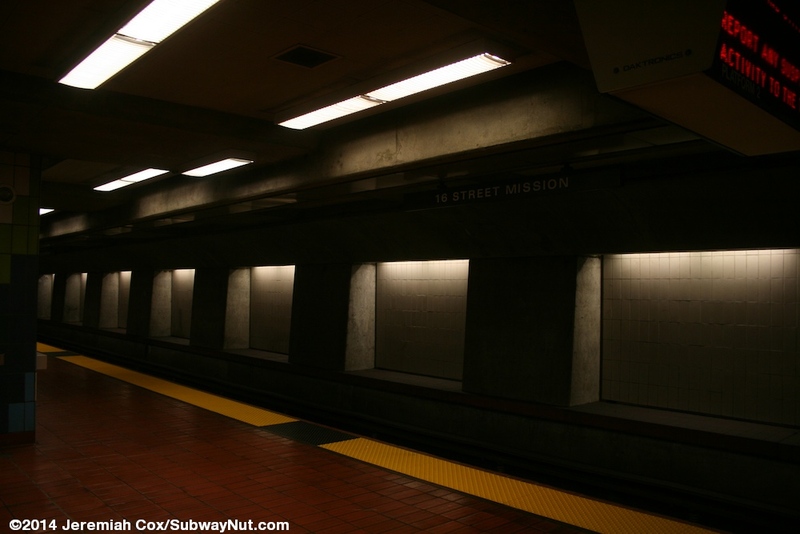 The railings of the entrances at street level have blue railings. 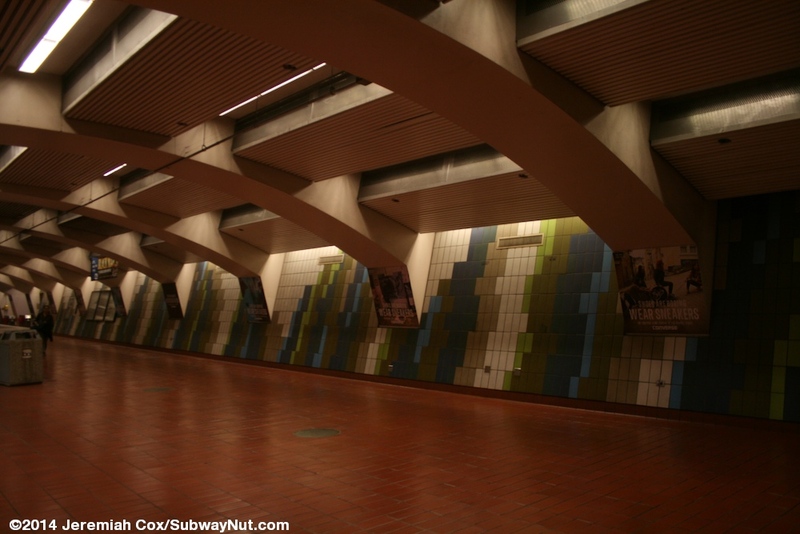 The NW corner includes the upper landing of the street elevator in its own distinct elevator bank.